Vilamoura property for sale can be found within a luxurious, purpose built resort at the heart of the sunny Algarve. Just 15 miles from Faro’s international airport, and with excellent road and rail links, Vilamoura property for sale is as well known for its ease of access for second home owners as it is for its fabulous golf courses and glorious beaches. Vilamoura is one of Europe’s largest beach resorts with an area of 20km2, packed with luxurious facilities and a wide choice of Vilamoura property for sale. At the heart of the resort is the modern marina, which has over 1,000 berths for a variety of vessels. The waterside is architecturally beautiful and houses the some of the best restaurants and waterfront bars. The nearby casino has been designed with this luxury and elegance in mind, and is popular both for its casino games and its evening entertainment. The idea of a purpose built and self contained luxury resort complex was first conceived in 1974 by a wealthy Lisbon banker. 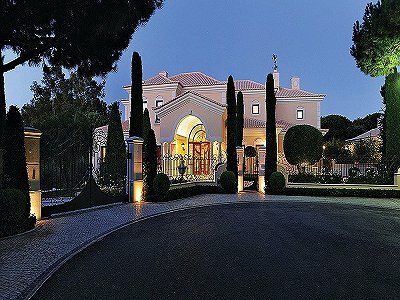 Its modern success is down to the original vision of luxury and opulence coupled with outstanding facilities and the beautiful sun-drenched climate of the Algarve, but, above all, the greatest success of Vilamoura is its community feel, with a great number of the Vilamoura property for sale being privately owned. The wide variety of landscapes and facilities within the resort ensure that there is a Vilamoura property for sale to suit every taste. The vast sun-drenched beach which makes up the southern border of the resort is a popular choice for those seeking Vilamoura property for sale with a sea view. For those that wish to be part of the Vilamoura community, but prefer a more peaceful location, the resort is surrounded by some surprisingly beautiful countryside. Vilamoura property for sale can be found near the lush pine forests, the marshlands that teem with wildlife, or the open countryside so typical of the area. Often those buying Vilamoura property for sale are keen golfers, due to the resort’s six excellent and world-renowned golf courses. Each course has its own distinct character and challenges, and it is possible to buy Vilamoura property for sale bordering one of these courses, with views across the greens and fairways, showing the true craftsmanship of their construction, and the seamless blending into the natural environment. The Victoria course was designed to be one of the best in Europe, and is set over 90 hecteres of flat terrain, with carefully sculpted mounds that resemble hills on the horizon, and a number of lakes and waterfalls. The ‘Old Course’, the second oldest in the Algarve, is set in a pine wood and takes full advantage of the natural contours of the land. This course provides an unmissable experience, with club selection being an important factor over the second half of this 18 hole course. The Millenium course consists of 18 holes wandering through parkland dotted with trees, while, in contrast, the Laguna course consists of numerous lakes, but few trees, and has been extensively improved and modified since its opening in 1990. The challenging Vila Sol course is set on undulating natural terrain with 27 holes and a tricky green, while the 18 hole Pinhal course is set back from the tourist beach and meanders gracefully through pine forests, demanding great accuracy and club choice. Aside from the golf courses, Vilamoura property for sale offers the opportunity to enjoy a vast range of activities. The resort boasts both indoor and outdoor sporting activities, ranging from tennis to jet-skiing, and the natural beauty of the area can be enjoyed not just outside the confines of the resort, but also inside, thanks to the dedicated care of the natural and unspoiled landscapes. The wide ranging facilities ensure that everything is provided within the resort, including shops, designer boutiques, a medical centre and a whole host of evening entertainments. Whatever the location of the Vilamoura property for sale, this purpose build resort aims to provide everything desired or required; all within easy access.